Getting better sleep or just more sleep may be easier said than done, but sleep could be the key to reaching a whole host of New Year’s goals. Whether you’ve pledged to read more, drink less, make more time for friends and family take up a new hobby or eliminate stress from your day-to-day, adequate rest will make a positive impact on virtually every part of your life. Why? Because when we’ve slept well, it’s easier to make positive choices. When our minds and bodies are well rested, we feel energized and more creative, more active and less passive in everything we do. Focus on sleep – invest in rest – and everything else will follow more easily. So how do we do this? Start now, and give it a month, or longer ideally. You might get off to sleep quicker when you’ve had a drink or two, but this is a false economy. As the night wears on, you will spend more time in a less restful stage of sleep (the Rapid Eye Movement stage) than you would have done on an alcohol-free night. This is why you might wake feeling sluggish even after sleeping longer than usual. Resist the urge to use your bedroom as a dumping ground. Think about how luxurious it feels to spend a night in a lovely hotel: how a well-lit, clean, fragrant and orderly bedroom virtually promises a beautiful night’s sleep. Style your bedroom on this premise – invest time in making it a safe, soothing place to be – and see if this makes a difference. If you can’t splash out on expensive sheets, treat yourself to some quality pyjamas in an all-natural fibre. Better sleep is often the unexpected benefit to ditching bad habits like smoking or eating late. Caffeine can cause sleep issues even twelve hours after your morning cappuccino, so try switching to decaf, and bear in mind that smoking is also a stimulant that can play havoc with our sleep. Big, heavy meals eaten late can keep you awake with indigestion and refined carbs like white rice and pasta can trigger wakeful periods at night too. Practice some simple yoga stretches before bed to wring out the body, relax any tight muscles and bring the body to a more restful state before bedding down. You needn’t join a class – check out what apps are available for guidance through some restorative poses and stretches. 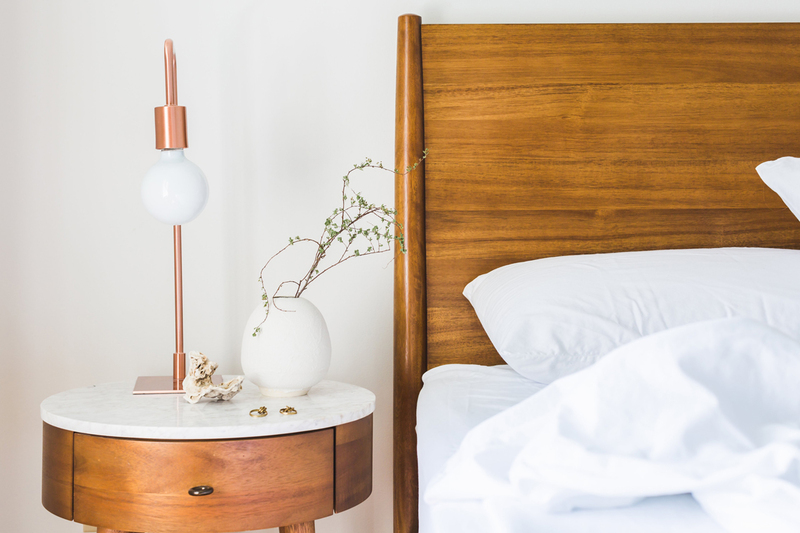 If you need to carve out some time to switch off before bed a mindfulness app or CD could be worth trying, where a soothing voice offers calming visualisations to work through before climbing between the sheets. If this doesn’t work for you, think about whether there’s a musical genre you find relaxing. Lavender oil aromatherapy can calm the nervous system, lower blood pressure and heart rate, and it can even change brain waves to operate in a more relaxed state. Unsurprisingly, lavender can also help with mild insomnia and provide better quality of sleep. Use an oil diffuser, place a few drops onto your pillowcase or dab some onto a handkerchief to keep under your pillow. If your sleep is affected by you or your partners snoring, read our FAQs which may answer any queries you may have about Snorewizard. Alternatively, call us today on 0800 5283278 to speak to one of our experts.